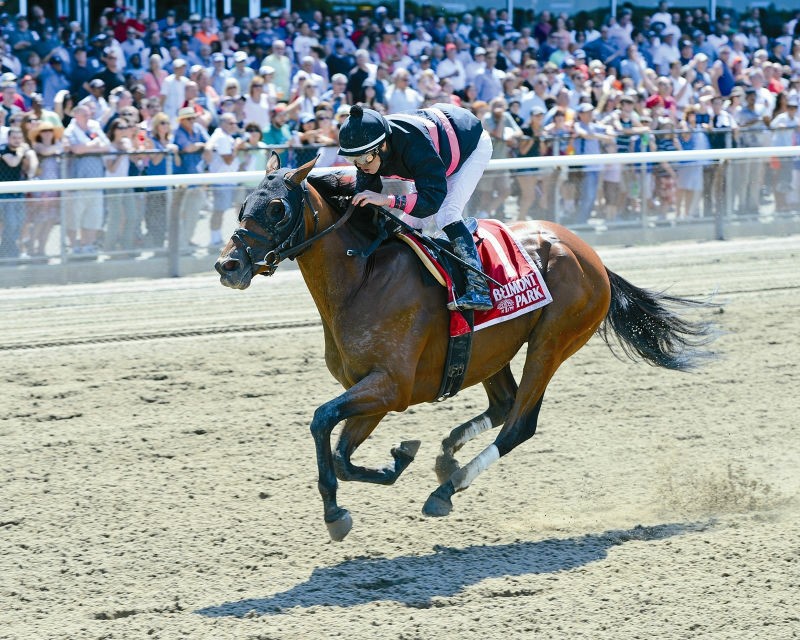 Soon after multiple graded stakes winner Kid Cruz was pulled up in a claiming race at Aqueduct Racetrack March 19, his breeder, Machmer Hall's Carrie Brodgen tweeted: "Just got the call, Kid Cruz is coming home! He has a tendon, but will be fine. Gelding, vacation and 2nd career next!" Brodgen, who also runs Select Sales, said she understands that Kid Cruz has name recognition, but was surprised at the attention the tweet got since she has helped rehome approximately 30 horses in the past year. She said she's already received a few inquiries about Kid Cruz, but he isn't ready to go to a new home just yet. 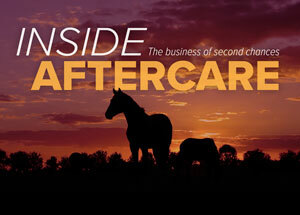 BloodHorse spoke with Brodgen about her rehoming efforts and her thoughts on the state of aftercare. What happens when you take back a horse, and what kind of undertaking is this for your farm? I find that mother nature restarts these horses. There are a few who can go right from the track into great homes. The biggest thing for people to understand is that I need that mediary person. I realize I need a professional to retrain these (horses), and the way to get professionals to put in their time and money is to do everything (on our end) for free. I've never charged for anything. A lot of times, I'll pay for the shipping, Dr. (Dwayne) Rodgerson from Hagyard has done several knee surgeries for me, Sallee (Horse Vans) has been great, and Mike Lake from Lake Horse Transportation has been great at helping us. I'm not naive enough to think that there are homes for everything, but if there's a horse that can be sound with time and effort, I'm absolutely going to do it, 100%. How do you go about adopting out OTTBs? I work with an OTTB Facebook network (OTTB Connect). What I do is I post (to the group). They don't even have to be in my farm. If you give me a good picture and a description of what they are, (I'll post it). It's just translating that and finding the right person to retrain them. We do rehome (OTTBs) to a lot of retrainers. I think that's a really positive thing. People think that the forever homes just happen. The forever homes happen after the retraining. We need those professional to bridge the racetrack mentality to the riding mentality. There are a lot of people who want to do that with sound horses. It's just connecting person A to person B. That's all I do for the most part. I use my farm somewhat, but with 75% of the rehomes I do, the horses are not on my farm. I've heard from others that Facebook is a big help with making connections. And that with The Jockey Club Thoroughbred Incentive Program and Retired Racehorse Project's Thoroughbred Makeover, many people are looking for sound Thoroughbreds. The incentives are incredible. Whoever came up with The Jockey Club program, the T.I.P. program, I want to commend them. I think it's all about communication and bridge-building. Even though I don't (retrain OTTBs), there are so many other people who want to do that, which I love. I think that Thoroughbreds take more care, but their rewards can be fantastic. Why do you offer to take your homebreds back? Should more breeders do this? I do it because I'm very passionate and I come from the show hunter world, and I get that there has to be a bridge (between racing and riding). I feel like I'm a very educated person to make that transfer. If you don't come from the show hunter world, you don't know how different it is. I think I'm more proactive sometimes, but there are a lot of breeders who would be more than happy to do it. For me, I get the same joy of our graduates winning graded stakes that I do when Boulder Creek wins reserve champion at a horse show. It seems that communication is key. It all comes down to communication. And ultimately (the horses) have to be sound. I'm not saying they have to jump a 3'6" course and swap their leads, but I don't think trying to rehome an unsound horse works. So if (a racehorse) can be stopped on before that final race, that would be better for everyone—and for the horse, of course.